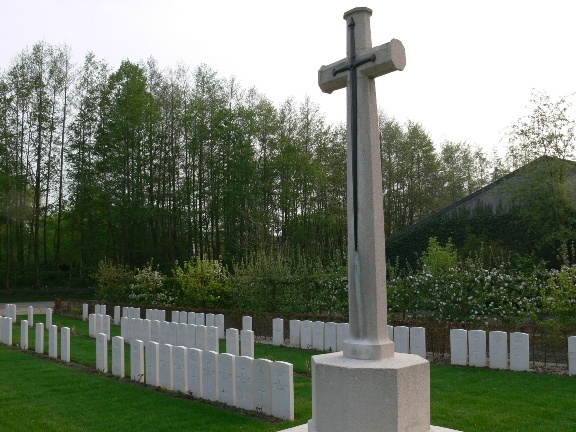 I have just heard that the dreadful CWGC experiment at Railway Chateau Cemetery outside of Ypres where they removed the turf and put down some sort of hard standing has been scrapped. In fairness to the CWGC they always said it was an experiment but I am sure after the comments on various war forums plus those left in the visitor’s book that they were assured hadn’t been greeted with anything other than distress. Defintely a thumbs down from all who had written in the visitors book when I was there. Thank goodness that common sense has prevailed. I will visit again later in the year and post a picture then. 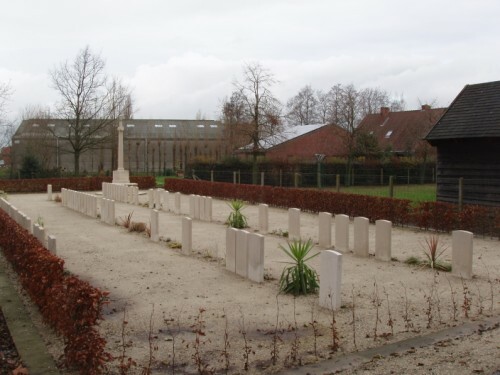 A description of my visit in December 2009 can be read here: CWGC Climate Change Trials. Railway Chateau Cemetery in December 2009. Spring 2011 will see a welcome return of turf to this quiet little cemetery. This news was from the Western Front Association and the extract from their website can be read below. Link here also: WFA Article on Railway Chateau being returned to lawn. The Commonwealth War Graves Commission has been conducting climate change demonstrations at four of its cemeteries in northern Europe. One of the primary aims of the demonstrations has been to elicit public feedback on the different approaches taken. In November 2009, an online survey was developed for this purpose, whilst the CWGC also monitored comments in the Visitor Books at each of the four cemeteries. Support for the Commission’s work on climate change, and the approaches taken at three of the cemeteries, was strong but there was little enthusiasm for the hard landscaping solution adopted at Railway Chateau. Although dry landscaping is commonly and successfully employed by the Commission at cemeteries where grass cannot be grown or maintained – usually due to a lack of a regular water supply – this was the first time it was demonstrated at a cemetery in northern Europe. 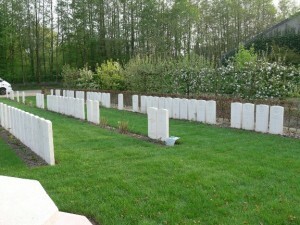 As a result of the feedback received, Railway Chateau will be re-established as a typical lawn cemetery in the spring of 2011. 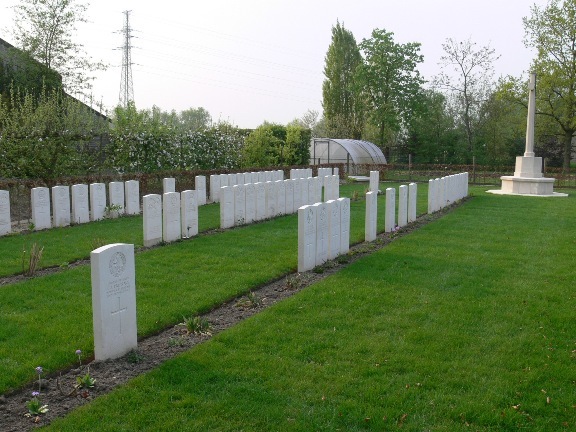 The cemetery will remain part of the climate change demonstrations with the CWGC using drought-tolerant plants in the borders and a drought tolerant grass mix – similar to the approach taken at Oostduinkerke Communal Cemetery in Belgium. The demonstrations will run for another four years and the CWGC will continue to monitor and update the public on the outcomes.